Acca Catcher is a cutting edge matched betting tool developed by Profit Accumulator to help guarantee profits from football accumulator bets. Like Match Catcher, this advanced software is designed to make make an advanced matched betting technique quicker, easier and less stressful. Acca Catcher scans trillions of combinations to generate the best accas for matched betting. Alerts can be set up to make sure you never forget to lay part of the bet and the powerful calculator lets members know exactly how much to lay. Access to Acca Catcher is included as part of Platinum membership. You can watch a video tutorial on what accumulators are and how we can profit from them, through matched betting. Accumulators are a major source of long-term profits from matched betting. There is a huge variety of offers on accumulators, including refunds such as acca insurance. An example of one of these offers would be 'place a five-team accumulator and get a free bet if one team lets you down'. Different bookies have different rules on these offers, but Acca Catcher automatically factors these in. Placing acca bets is also a good way of keeping your account active as accumulators are popular with non-matched bettors. Mug betting online is how you keep your accounts from being limited, or "gubbed", by bookmakers and using acca catcher to place accumulators is a great way to keep bookmakers happy. An accumulator is when your bet includes multiple outcomes, which all need to win for you to win. For example, Manchester United, Chelsea and Arsenal all to win their matches on a given weekend. This is known as a treble. If one of those teams fails to win the bet would be lost. Matched bettors can, however, guarantee a profit from accumulator bets by laying each leg. There are a few ways to secure a profit from accas. The most simple way is to place an acca, and lay off each leg at a time. You'll make an overall qualifying loss but, if only one leg lost, you'll receive a free bet, which can be used to generate a profit. Acca Catcher makes doing this easy and will let you know when each leg needs to be laid. Not every accumulator bet will win but, over a time, matched betting on accumulators can be very profitable. Like Match Catcher and the oddsmatching software, Acca Catcher has a range of filters to make finding your accas easy. The software pre-builds qualifying accas and users can filter by bookie, exchange. 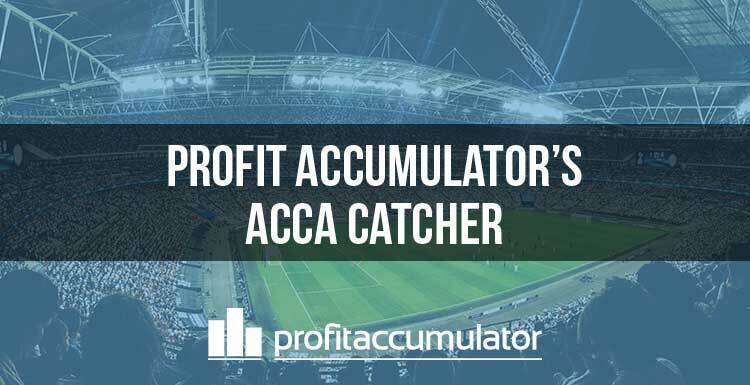 Acca Catcher shows us the expected value (EV) and potential qualifying loss of each acca, the combined back and lay odds and the start and end dates of each accumulator. 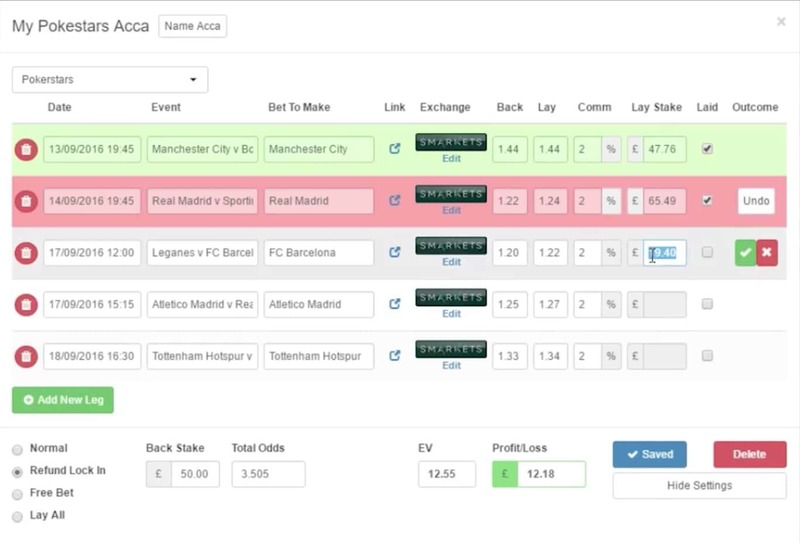 Acca Catcher also allows users to save their accas using the 'my accas' tab, as well as the ability to export the data as a CSV, for users who like to keep offline spreadsheets of their work.